When it’s going good it’s going great for the Premier League leaders and seemingly Premier League Champions-elect. While relegation battlers Crystal Palace and Huddersfield are wrestling with injuries to ten and six players respectively, Manchester City’s sixteen-point lead at the top of the table is being buffered by an almost completely healthy first-team squad. When was he injured? 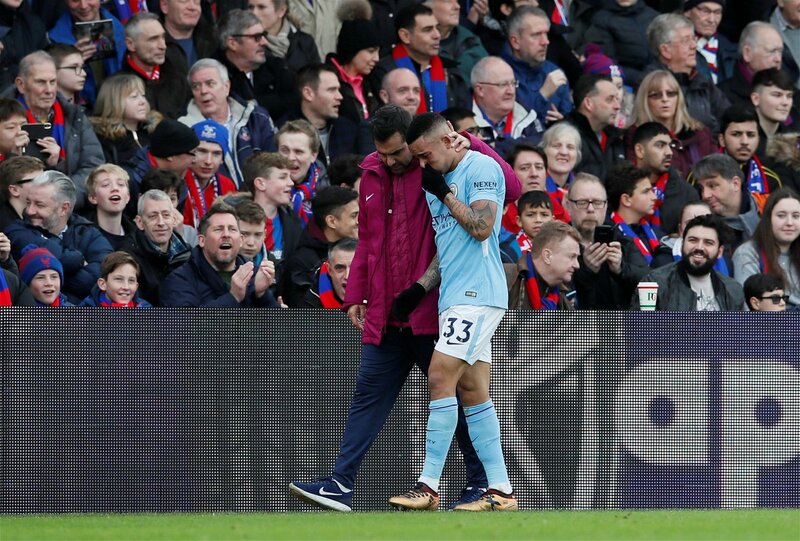 : The City striker was injured in the New Years Eve 1-1 draw with Crystal Palace, but after visiting a knee specialist in Barcelona earlier in the month it has been confirmed that Jesus had not suffered the cruciate ligament damage to his knee that many had feared. Will he be missed? : With Raheem Sterling and Sergio Aguero two of the Premier League’s top five goalscorers this season, City’s front line haven’t exactly struggled for goals this season. That said, Man City could do with Jesus’ strength on the ball compared with the more diminutive Raheem Sterling. When was he injured? : Mendy suffered a rupture to his anterior cruciate ligament in a 5-0 win against Crystal Palace on September 23rd. Will he be missed? : City have been absolutely dominant in the middle of the park this season with Kevin DeBruyne having scored 11 goals and David Silva, Leroy Sane and Kevin De Bruyne all ranking in the top five in the league for assists. The question with Mendy is not whether he will be missed, but more will he be able to get back into the team with the first XI firing on all cylinders at the moment.